1: The club were formed in 1946. They were originally known as North Withington, changing their name in 1987. 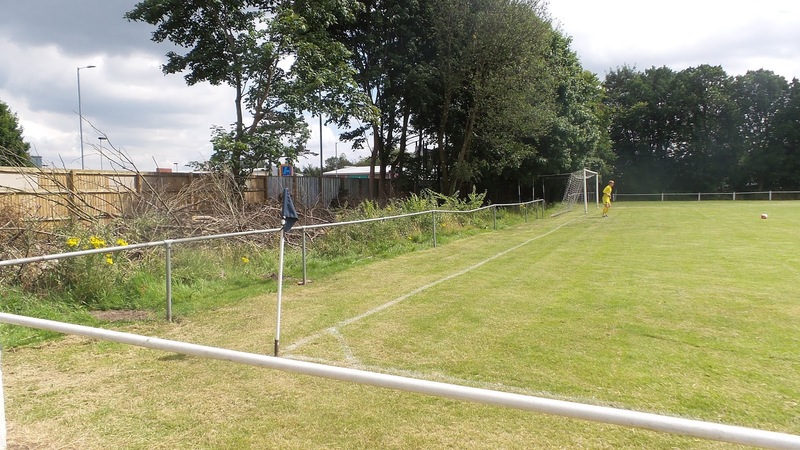 2: Prior to the mid-1980's they played at Hough End Fields on Princess Road, Withington. 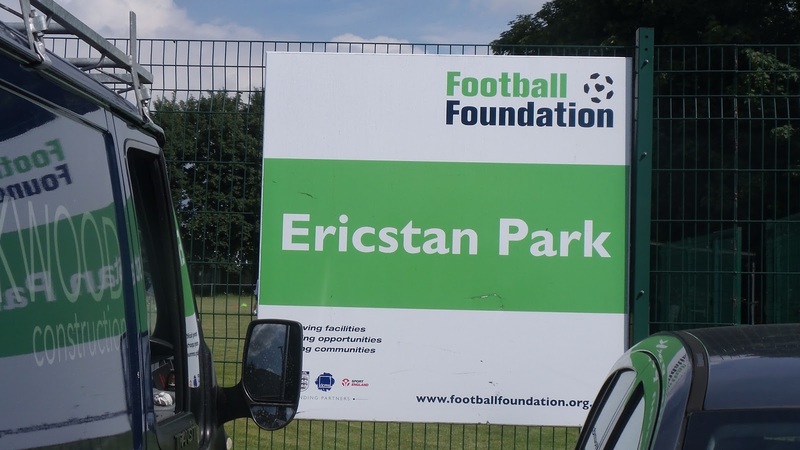 3: They play their home games at Ericstan Park and have done so for many years. 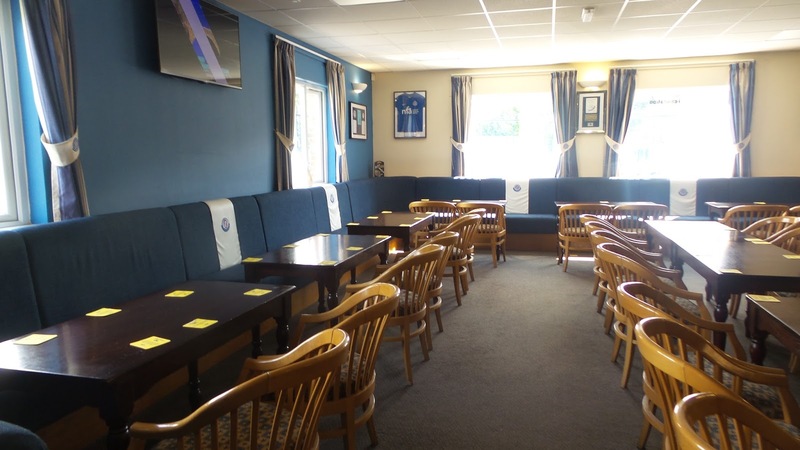 In 2009 this venue saw extensive improvements with a £500,000 clubhouse and dressing room facility refurbishments. The ground got its name from two former men involved in the club during its early days - Eric Reynard & Stan Orme. 4: There is also another club in Wythenshawe, namely Wythenshawe Amateurs. Up until a couple of years ago, they were league rivals in the Manchester League. 5: After a long spell in the Lancashire & Cheshire League, they joined the Manchester League in 1974. 6: From 1987 until 1998 the club enjoyed their first ever spell in the Manchester League Premier Division. They generally struggled though and despite a few good years between 1993 and 1996 where they finished 5th, 4th and 6th they were relegated in 1999 after finishing second bottom. 7: Between the years of 1998 and 2012 they were in Manchester League Division 1, generally doing well. Winning the league in 2012 entitled them to promotion back to the Manchester Premier. 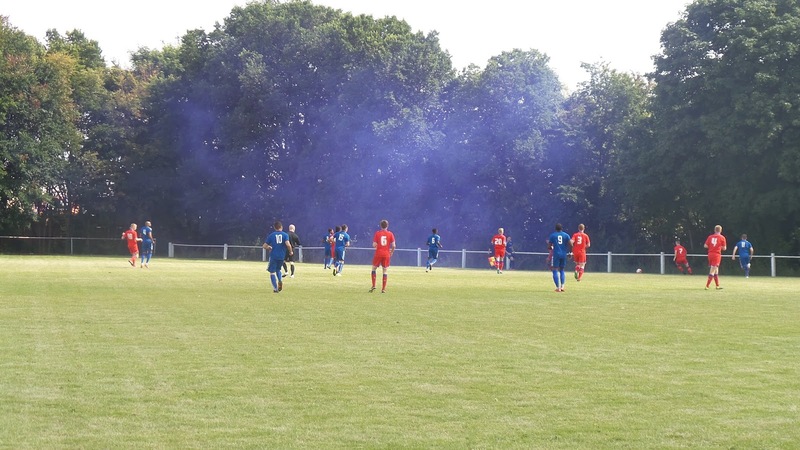 However, they again found things tough going and a couple of seasons later they were relegated to step 8 of non-league after finishing bottom. 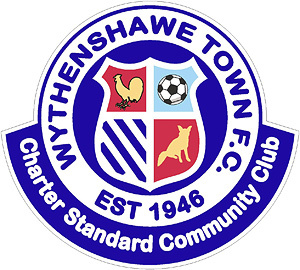 8: Since 2014 they have competed in the Cheshire League. They had an exceptional season winning all 18 of their games to win promotion from Division 2. 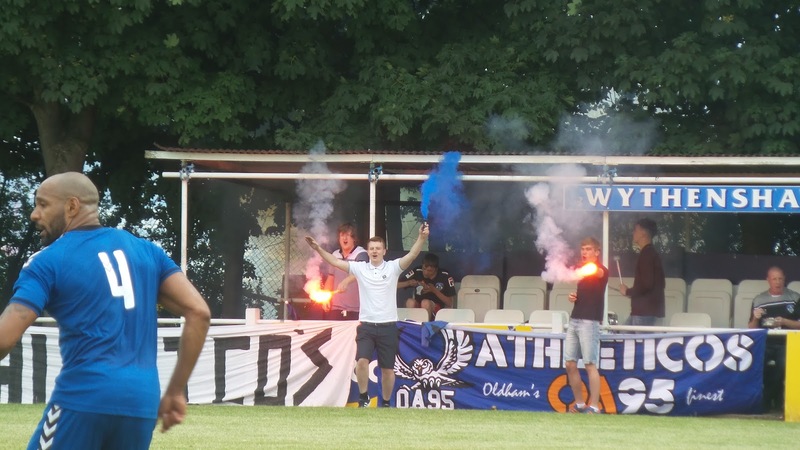 They won the league again last season, winning 14 out of their 20 games. 9: In that invincible season of 2014/15 the club won a quadruple, winning every competition they entered. As well as the league, they won the League Cup, Altrincham FA Cup & Manchester Amateur Cup. 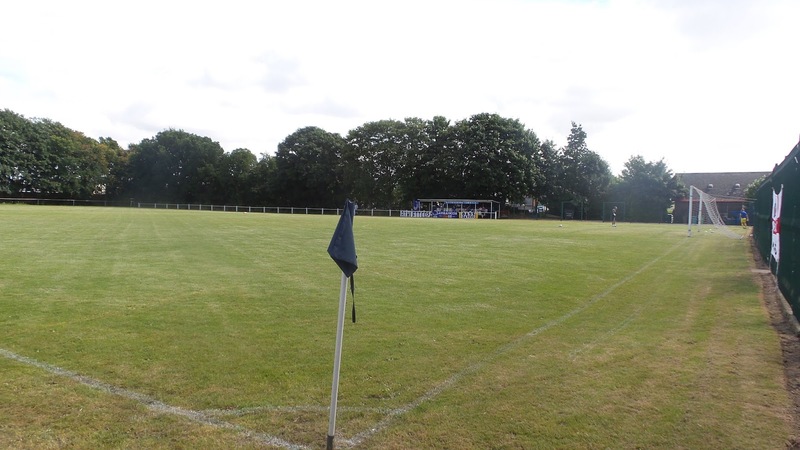 10: The club also have a number of other sides, including a development squad and Sunday League side. This groundhop was only decided at midnight the previous evening. 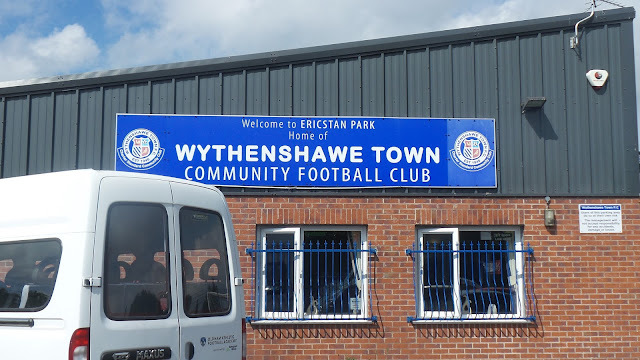 I'd been planning to go to Trafford v Chorley for my 600th ground, with that particular location being chosen as it was close to Manchester City centre and with reasonably decent transport links. This was ideal with me needing just one cider to complete the Wetherspoons Cider Festival and there being a large choice of outlets in the city. However, this was all blown out of the water when I saw that Oldham Athletic's development squad had a friendly in Wythenshawe at 11am, thanks to my Latics supporting friend Thomas letting me know. 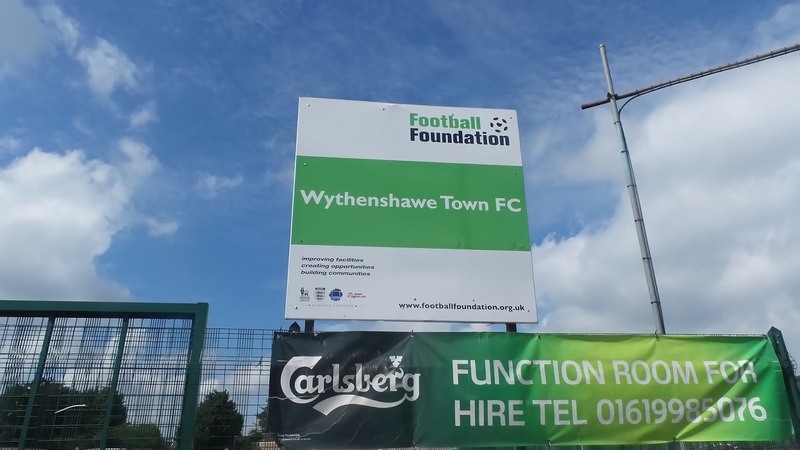 I'd only known about Wythenshawe Town through another Oldham supporter, George, who had done some voluntary work for the club. Normally I concentrate on steps 1-6 with non-league, with this being a step lower it was a little off my radar. However, with me clearly seeing that they had a half decent ground, I decided to ditch my pre-match plans and instead add this game to my schedule. The next morning I woke at 7.30am. After having a shower, getting dressed and putting my stuff in my car, I went and bought a paper to read with my breakfast, which was included in the price of my room. I left at 9.50, taking just under an hour to get to Wythenshawe. 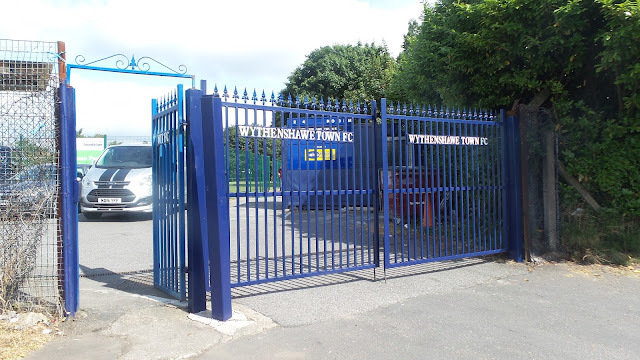 I parked up on the nearby industrial estate before walking to the ground. Entry was by donation, so I stuck what change I had in the bucket. I was also surprised to see merchandise on sale and it was excellently priced. I couldn't resist a scarf for £3 to add to my collection. I met up with Thomas and we stood on the opposite side to some of the noisier Oldham fans who were in great voice and had flares and other visual delights. 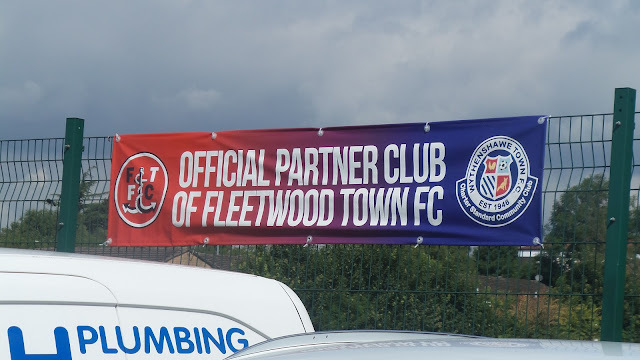 They would be heading to Oldham Athletic's first team game at Fylde later today, but as a 'switched on' and progressive club, the hosts had brought the match forward a few hours to allow they and other interested parties to attend. The hosts started the stronger team but it was Oldham's youngsters that took the lead on 4 minutes through Brad Kay's close range finish. The visitors had taken a 3-1 beating in the corresponding fixture last season, but there was no danger of that happening this time, as Oldham started to take control of the game. 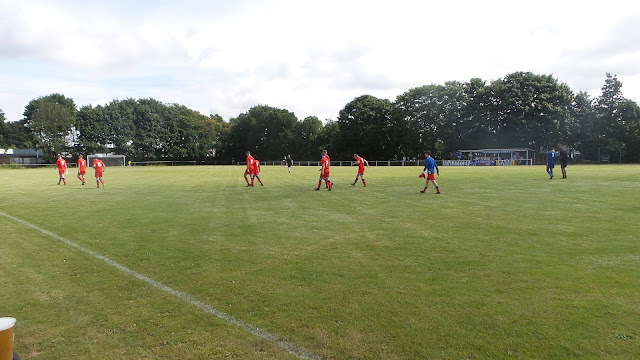 They made it 2-0 on 18 minutes as a ball across the 6-yard box was put away by the Latics' Lee Knight. Though the hosts would pull a goal back from the spot before half-time, it was against the run of play. 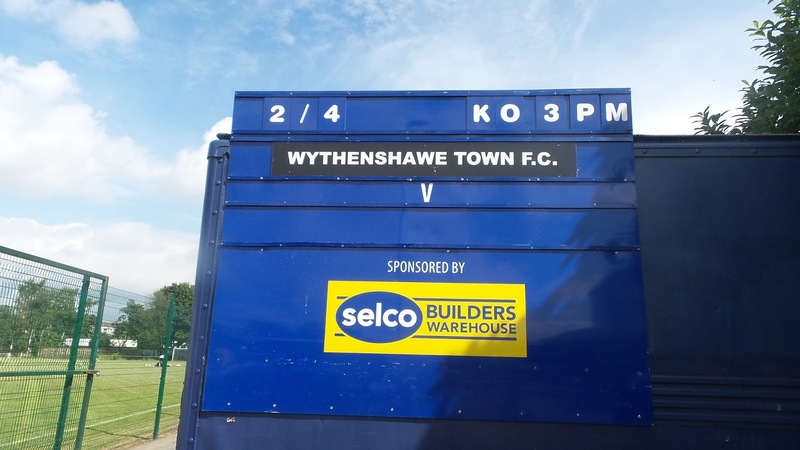 Ned Dry restored Oldham's 2 goal lead on 55 minutes and perhaps they took their foot off the gas as this lead to Whythenshawe's best spell of the game. On 70 minutes their substitute got another goal back with a shot from just inside the area and it looked as if they might make a game of it. 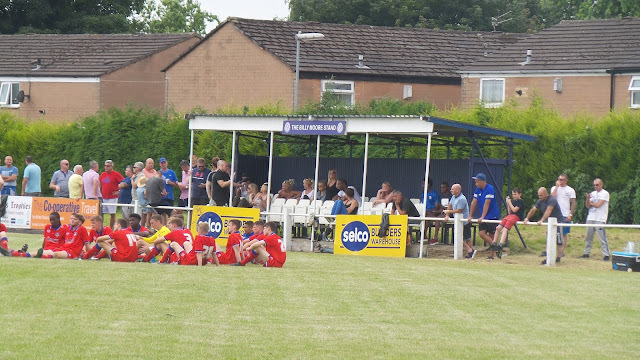 However a minute from time Oldham made it safe with a 4th goal to complete a game that was fair more entertaining than you would expect in such hot conditions. ERICSTAN PARK is a great setup for this level, and with a few improvements would have no issues getting into the North West Counties League, which is their long term ambition. The off-field facilities are certainly decent, with a good bar, a decent tea hut and a good range of merchandise too. 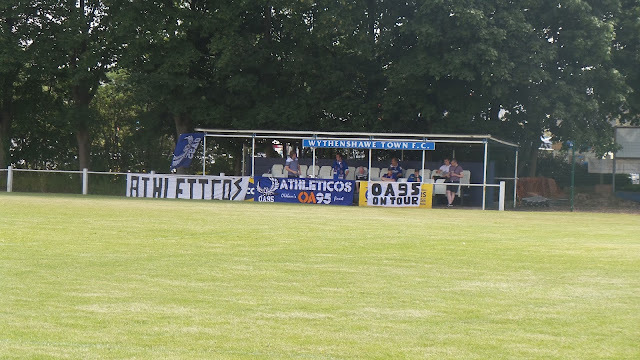 There are 2 stands, both seated but with some standing space too, holding around 250 apiece under cover, with 31 seats in each. 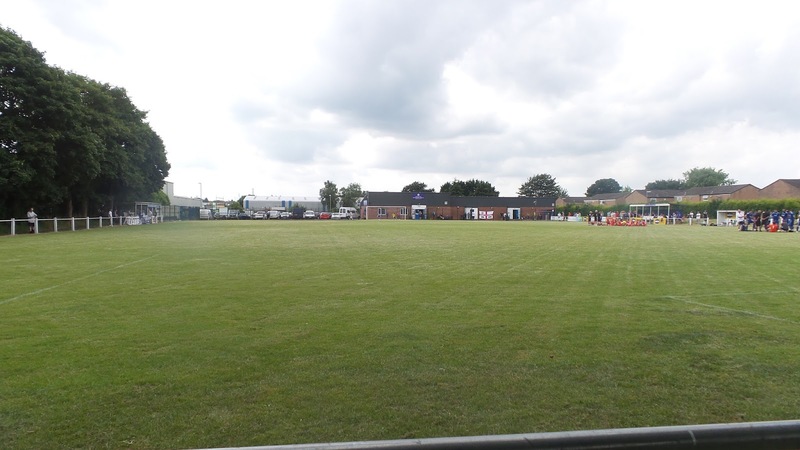 In terms of improvements needed, floodlights would be essential, and I believe plans are in place to bring some in. Apart from that, hard standing all the way round rather than just part way, plus a general tidy up would all that I'd imagine would be needed to progress to step 6.